- Tyson Fury claims he suffered from dehydration after his shock heavyweight title win against Wladimir Klitschko because he refused to drink water in his dressing room in case it was drugged in a bid to discredit him. English underdog Fury stunned Klitschko in Dusseldorf on Saturday to win the WBA, IBF and WBO belts with a clear points victory. But the 27-year-old, speaking at a press conference in Bolton on Monday, revealed he was so paranoid about potentially underhand tactics he refused to drink water on fight night unless he had bought it himself for fear of being doped. 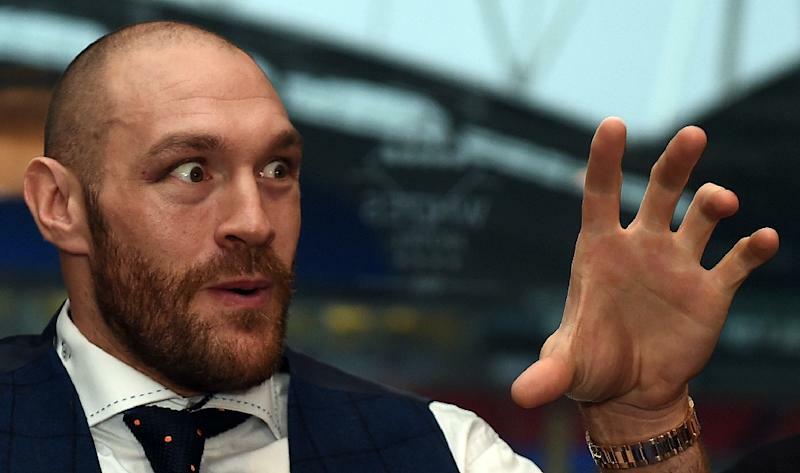 "I had good information from good resources not to touch anything in the changing rooms because they might try and drug you," Fury told reporters. "Someone tried to pass me water, and unless it was sealed and contained from my own baggage, there was no chance."